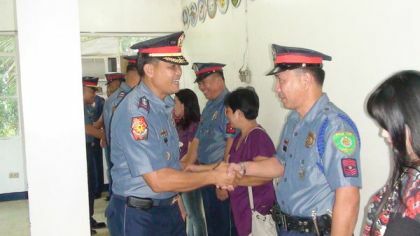 Police Senior Supt. Elmer Beltejar, provincial director, said the OPLAN “Verification of Identification and Sticker Authenticity (VISA)" will be implemented this year for motorcycle owners, drivers and operators once it gets the legal legislation from the provincial board. VISA, which will be enforced through the conduct of police checkpoints, seeks to check on the identity of motorcycle drivers and passengers riding along the road to prevent the use of unauthorized and illegal motorcycles by criminals in pursuing their targets. “With this measure, we can prevent the commission of crimes by those so called ‘riding in tandem’ assassins because they will be forced to present their legal documents pertaining to their ownership of motorcycles,” he said. Earlier, Beltejar also sought the support of Gov. Luisa Cuaresma for their programs and projects this year. “We will be implementing and enforcing this measure within the province because we have proven it to be effective in reducing the number of crimes committed in 2011,” he said. PNP report bared that there is a reduction of 46 percent on the crime volume in 2011 with only 973 incidents compared to the 1,983 figure in 2010. He said the dramatic reduction of crime volume in the province can be attributed to the implementation of their Police Integrated Patrolling System (PIPS) composed of surprise checkpoints, police visibility and tapping of their force multipliers in various barangays. The measure, which needs to be supported through a local ordinance, has been conceptualized by regional police officials due to the rise of crime incidents related to ‘riding in tandem’ suspects in Cagayan Valley region.